An 87th precinct mystery, it says on the front page. Two men were found dead. They killed each other simultaneously. One used a gun, the other a knife. The most important clue was a piece of a picture in the hand of one of the two victims. Soon more pieces show up. Like a jigsaw, the police needs all pieces to know what this is about. In the meantime more people are being killed. Will the police find out before the killing stops? 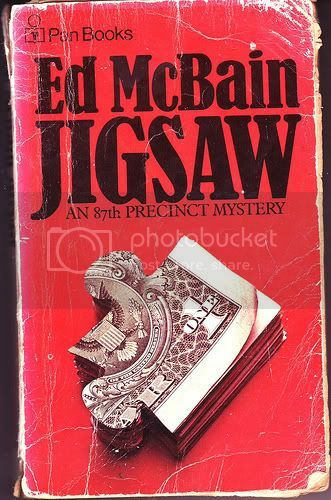 I like McBain’s books. They are easy and clear. One knows that in the end the mystery will be solved, even though several victims will not live to tell. One dimensional, but that also makes for a light read.